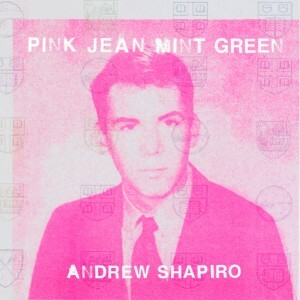 An In-Depth Interview with Musician ANDREW SHAPIRO On his Latest Record, Pink Jean Mint Green! Recorded in New York over the past three years and co-produced with Grammy-winner Mario J. McNulty, the classically trained composer’s neo-‘80s synth-pop outing features drummer Sterling Campbell (The B-52s, Duran Duran, Soul Asylum, Cyndi Lauper) and Kuroma member Simon O’Connor. 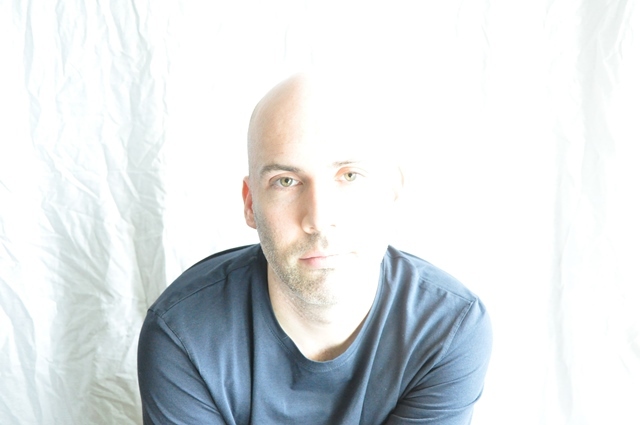 Graduating from the Oberlin Conservatory of Music with a degree in music composition, Shapiro drew inspiration from American minimal music, an art form that revolutionized compositional technique in the 1960s and 1970s. His debut album, Invisible Days, was chosen by Performing Songwriter as one of the Top 12 independently produced recordings of 2003. Shapiro’s three solo piano albums–Piano 3 (2016), Intimate Casual (2012) and Numbers, Colors and People (2009)–were created with Philip Glass producer Michael Riesman. Shapiro’s cinematic piano track “Mint Green” from Numbers, Colors and People has been streamed on Pandora over six million times. In the course of his professional music career Shapiro has recorded five albums and three EPs. Additionally, he has written music for national and international films, theater productions and television, ranging from reality TV to a Clio Award-winning spot for cancer awareness. 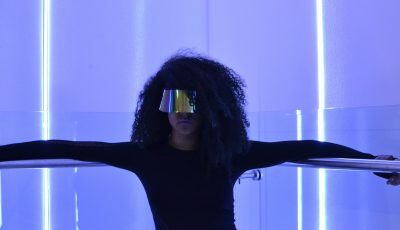 Performance highlights include The Kennedy Center for the Performing Arts (Washington, D.C.), the Exit Festival (Serbia), TEDx, Bard College, Joe’s Pub, Gracie Mansion, Bargemusic and the Wordless Music Series at Le Poisson Rouge in New York City. My earliest musical memory is that I was on the beach on the Long Island Sound with my mom who bumped into a friend who suggested a recorder class in the neighboring town of Scarsdale. An after-school activity. And I was interested. And I excelled at that and then moved on to playing clarinet. From that point on I was always a musician but when I started applying to college I thought, well as a clarinetist there really isn’t that much I can do other than play in an orchestra or teach or something. And that didn’t seem particularly appealing. So I went to a “normal” college (Emory University) and continued playing my clarinet but not with the same degree of intensity. But then in my second year there was a new teacher named John Anthony Lennon and he helped me tap into this huge music revival inside of me and I was studying advanced music theory and then composition with him and the whole thing just exploded. So I was reincarnated as a composer. And I thought, ok, this is what my life is about. So I left Emory and went to Oberlin Conservatory and was priming for a full time career in music. You very recently released your new synth-pop album called “Pink Jean Mint Green.” What did that feel like? How do you think you have grown as an artist on this record? The original idea for this album came in 2000. So it’s been a really long time coming. I was working and working and working slowly, slowly, slowly for so long. I knew what I wanted but wasn’t able to do it: make a Z100 sounding album. Totally pop. I was good at making piano and ambient albums but pop—that’s a totally different ballgame. So after doing a million other projects while “Pink Jean Mint Green” was living in the corner of my mind for years I finally said, ok, i need to hire a producer. A pop music producer. How have I grown? Well now that the album is released it’s like this very long era of my life is over. I’ll never be the same because these are DEEPLY autobiographical songs and part of what the project became was a prescription to “get over’ what I was writing about. Painful memories/episodes I’ve now come out on the other side from. So there’s a great relief…but also some sadness that the whole thing is over you know? My life was defined by this project for so long. So what’s next? I’m writing a bunch of songs but don’t yet have a CLUE as to how I’m going to work up the songs into a full production. Good pop producers are expensive to hire. But now I know how to do this, I know how to make music that I didn’t know how to before. When I hear my first EP “Invisible Days” and then hear “Pink Jean Mint Green” I can’t believe it. I just can’t believe it. I’d love to know more about the inspiration behind this newest record and why you thought that the subject matter fit better with a more pop-leaning sound? What was it like working with all the different musicians on it? How did you pick and choose who to work with on it? My friend, and big time classical producer Michael Riesman (he does Philip Glass) has produced my three piano albums. And I was asking him if he could help me with some pop music and he gave me some names of some pop music producers. It turned out a few of them were managed by the same guy and I spoke with him and he hooked me up with Mario McNulty. I had actually known him before because at different times we were working/interning/apprenticing at the Looking Glass Studios—Philip Glass’s now closed studio in NoHo in Manhattan. There are a lot of “alumni” of the Glass world and we’re all sort of musically “related” because of that shared experience. Mario brought in Sterling Campbell for drum programming. He’s big time, played for years with Bowie, Duran Duran, B52s, Cindi Lauper and more. And I had met Neil Gaiman and we were working together on a song. And for “Acura Club” I thought a guitar solo would be sweet so I reached out to Simon O’Connor who’s really cool and in the band Kuroma and had played with MGMT and other people and hired him for the session. Everyone needed to be awesome. And they were! Also, I’m a huge fan of the Calder Quartet, would love to work with them if I can! The same thing that I always hope for when I’m checking out new stuff. I hope people can lose themselves in it and love it and that it, even if for just a short time, can make them happier. This is my purpose in life– to use my musical talent and enthusiasm to uplift people, to soothe them. When I put music out I try to be as giving and as loving as possible. As far as the take away from the songs on “Pink Jean Mint Green,” maybe that people can see that there is a way to get over things, emotional addictions and the like. Things can be overcome, and then celebrated and moved into the rearview mirror and even poked fun at and that one can even bob their heads and smile about formerly unhappy memories. Is there anything else that you would like to share with our readers about yourself or your music? Well, I’ve just turned 40 and have been making music of some kind or another for 35 years. This is my life, what I was put here to do. Speaking of my favorite musical artists mentioned before, the reason why my label is called Airbox Music is that, the first song I ever wrote is called “Airbox” It’s on my first EP called “Invisible Days.” And the song is kind of about how non-categorical I feel I am as a person and as a musical artist. The idea that the music I’m making doesn’t fit into a box or any category.– while it’s part classical and part minimalist and part ambient and part pop and part meditative and part indie and part lots of things, it doesn’t really fit into one of those with such fidelity. 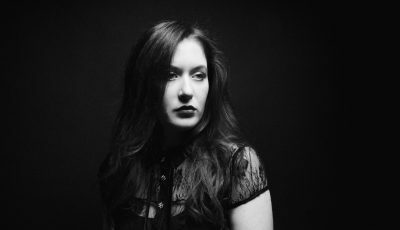 So there are a lot of ways to describe the music and there are a lot of ways into gaining a foothold into what I do. Lots of people are finding out about my music via a piano piece I wrote called “Mint Green” which is the most listened to thing I’ve ever written. It’s had over six million plays on Pandora. And it’s appearing on so many different people’s “stations” whether it’s “Relaxing Piano” or “Coldplay” or “Modern Classical” or “Meditation” or any other number of things. Yes, “Mint Green” is classical in a way. But in another way “Mint Green” is very much a piece of psychologically emo-esque ambient music. So there are people who are fans of groups like My Bloody Valentine, for instance, who are coming to it from that direction. And then a lot of the stuff is either written or synced into films and so people are coming from that direction too. Coldplay has a lot of lead piano arpeggio stuff going on and so I guess that’s how Mint Green showed up on their station. So I hope people might be interested in hearing how my musical language can manifest itself into all of these different kinds of music whether it be a string quartet or a synthpop track or an orchestra piece or whatever. That I’m a cloud moving all over the place. An Interview With LA Band BEGINNERS About Their Forthcoming EP Pleaser, Touring With Walk The Moon And More! An Interview With Newcomers SHALLOW SIDE On Their Debut Full Length Record Out This Fall!